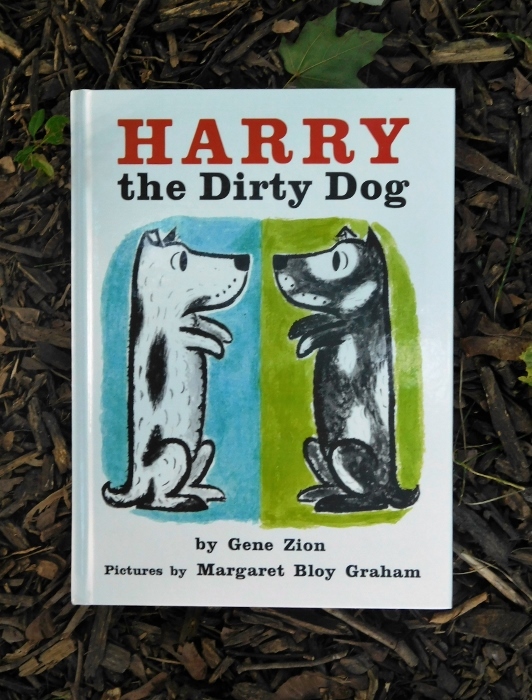 Inspired by Allie’s author signing post, the boys and I read one of my favorite children’s book series—the Harry series by Gene Zion, illustrated by Margaret Bloy Graham. There are four Harry books written by this once married author/illustrator team. 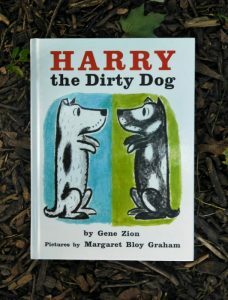 I bought the 50th anniversary edition of Harry the Dirty Dog before I had the boys because when I saw it, I could see and hear my Mom reading it. I thought I was the only person who would remember this classic, but my Instagram post featuring it was one of my most popular. I guess there are a few other people who remember Harry, too. Since we have Harry the Dirty Dog, the boys were familiar with the white dog with black spots. In that first book, Harry, who hates baths, hides his scrub brush and then runs off for some dirty adventures. When he gets home, his family doesn’t recognize him. Don’t worry. It ends happy. Harry continues to get into a bit of mischief in the next three books. And this week, we read all of them. 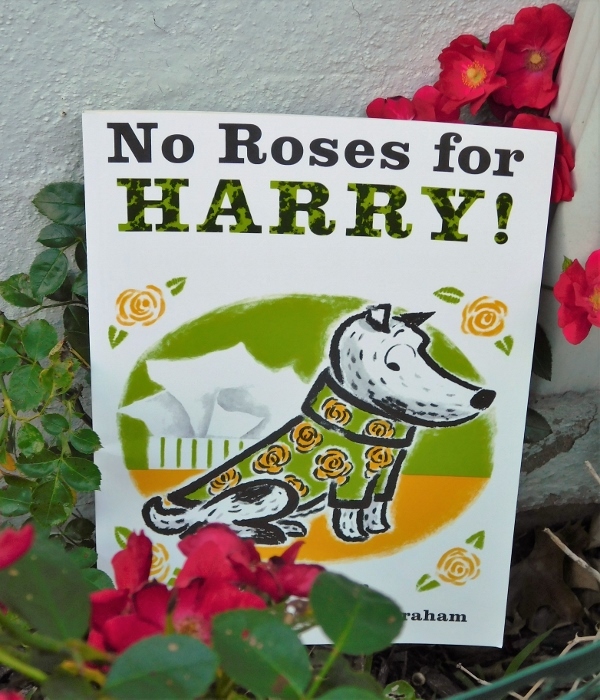 In No Roses for Harry, he receives a sweater from Grandma, which he dislikes. He tries to lose it, but doesn’t have success until a bird comes along. This is actually the Harry book I remember the most. Maybe we read it often. Maybe I had a few sweaters I wished a bird would take care of. The boys enjoyed following the bird across a few pages and guessing what it does with Harry’s sweater. Harry and the Lady Next Door is not a book I remember at all. It’s an early-reader chapter book, which might be the reason. I would have read it, not my Mom. And CJ could read it, too, though we took turns. In the story, Harry doesn’t like the lady next door’s singing and, much like he does with the sweater, tries to get rid of it. This opened lots of conversation with the boys. We discussed the difference between high and low sounds, what music they like, and how they might stop the lady from singing. 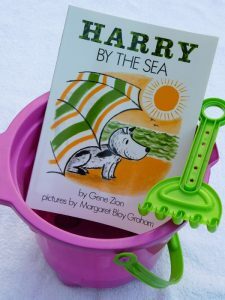 Perfect for summer, Harry by the Sea is the last book Mr. Zion and Ms. Graham wrote together. Harry and his family go to the beach where it is HOT. Harry can’t find any relief…until he gets covered in seaweed. He’s cool, but everyone thinks he’s sea monster. Unaware of the commotion around him, he tries to find his family, but everyone has the same umbrella. Eventually, he manages to lose the seaweed and find his family. And on the next trip to the beach, they find a perfect solution to all his beach problems. Reading the Harry books all together helped us see things we hadn’t before. 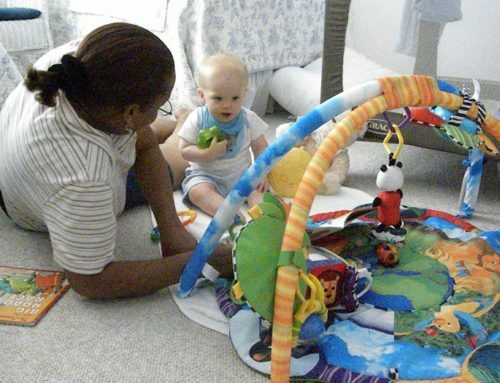 Here are some activities to do with your kids whether you read one Harry book or all of them. Compare and contrast. The Harry books were written in the 1950s and 60s. 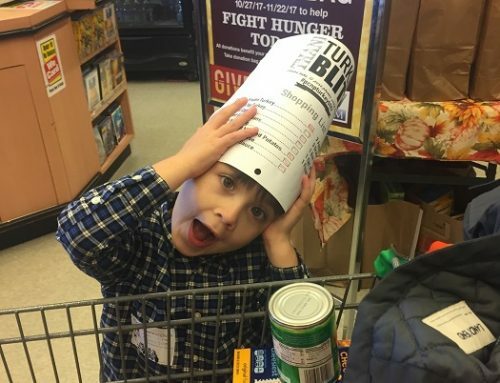 While the topics are timeless and your little ones will be able to relate, there are some things that seem funny in today’s world. Watch for these examples and other as you read: the coal chute in Harry the Dirty Dog, the TV antenna on the house in No Roses for Harry, the peanut man in Harry and the Lady Next Door, and a woman referred to as “the fat lady” in Harry by the Sea. Look for similarities. Other than Harry and his family there are other similarities between the books. See if your child can identify them. The books always start, “Harry was a white dog with black spots…” Except for Harry and the Lady Next Door, all the books end with something that is white with black spots. And the really smart kids will notice that the books have a similar pattern. Harry has a problem. Then he does three things about it. Discover idioms. Throughout all books and even in our conversations, you’ll find idioms, which are slang phrases that, if taken literally, would not make sense. The expression has a special meaning that differs from its literally meaning. For example, when you wish someone luck by saying, “break a leg.” You don’t want the person to break their leg. You’re wishing them luck. That’s an idiom and very challenging to understand for children and adults who are not expose them. Harry and the Lady Next Door offers a great way to teach the idiom, “in the dog house.” When Harry gets in trouble, he’s sent to the dog house. When the boys and I first discussed this, they thought it would be fun to spend the night in the dog house. But then we talked about how it would be cold, dark, and maybe a little scary alone in the backyard. Now they understand that being “in the dog house” means you’re in trouble. As you’re reading books or talking with your kids, take time to note if idioms are used. And then explain them. 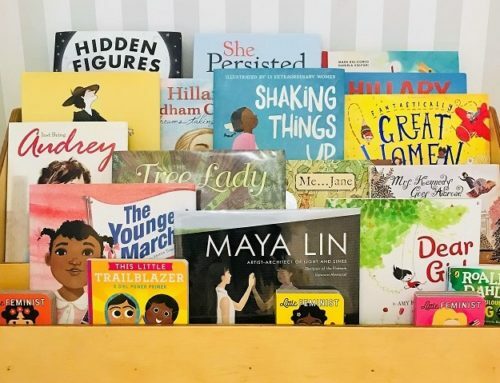 Mr. Zion and Ms. Graham wrote nine other books together, including Really Spring, named a best illustrated book of 1956 by The New York Times Book Review, and All Falling Down (1951), a Caldecott Honor Book. Ms. Graham had a second Caldecott Honor Book for The Storm Book by Charlotte Zolotow. When their marriage ended, Mr. Zion ended his career as an author. He passed away in 1975. 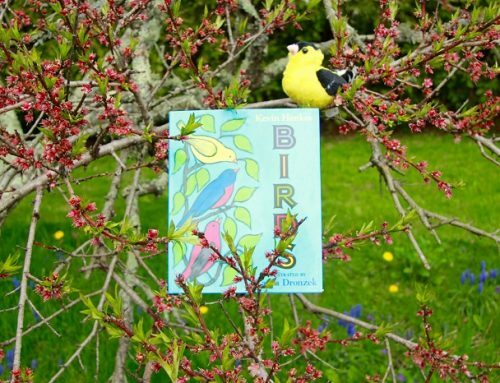 Ms. Graham continued illustrating and also became an author. She wrote and illustrated Be Nice to Spiders and another series about a dog, Benjy (not the one featured in some 1970s-80s movies). Ms. Graham died last year at age 95. Share your favorite childhood authors or series. 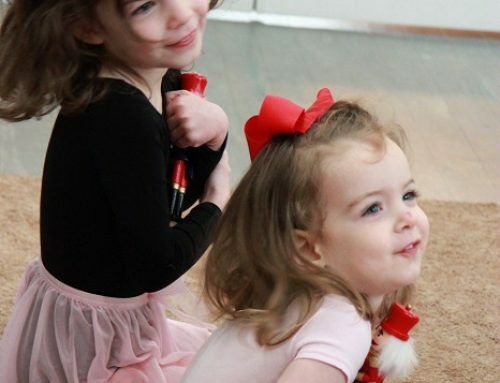 Maybe we’ll feature them in an upcoming post.